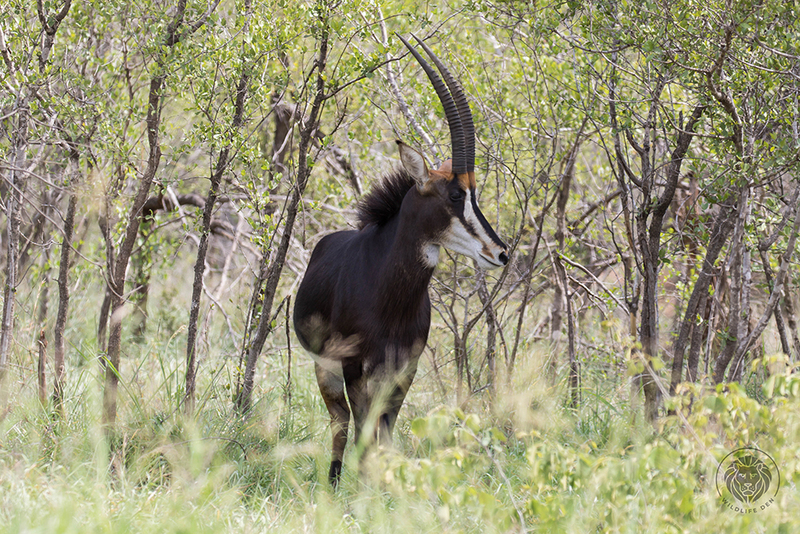 The Sable Antelope – Hippotragus niger (Afrikaans name Swartwitpens) is a threatened and rarely seen animal. The bull is pitch black with white facial markings and the cows and subadults are reddish brown or chestnut in colouring. They prefer long grass with lots of bushes and shrubs. They feed mainly on grass but are known to browse during the very dry periods. 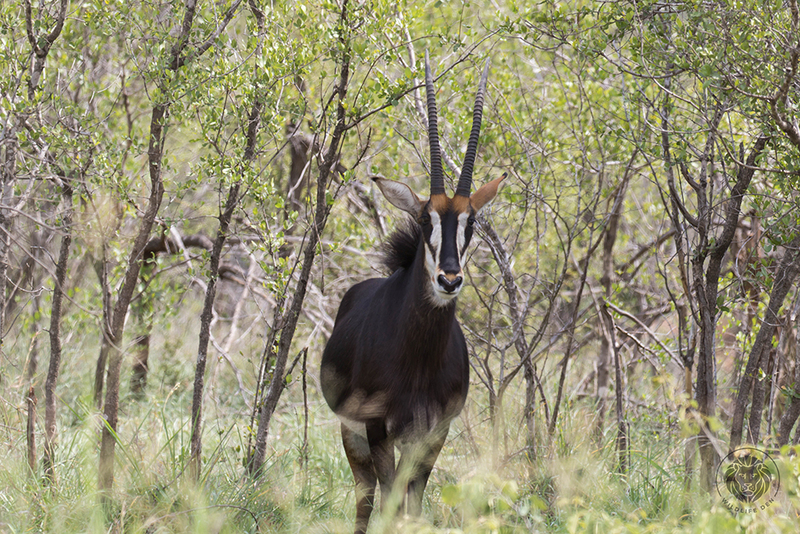 We came across this magnificent male near Skukuza in the Kruger National Park. How lucky were we to see him.